FICA DC joined Mestre João Grande and Mestre Jelon Vieira at the 2017 Folklife Festival. 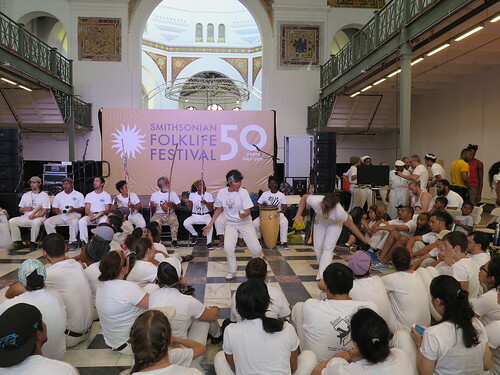 Immigration and migration through cross-cultural and inter-generational dialogue was the program’s theme, offering a perfect platform for presenting the art of Capoeira Angola. The bateria accompanied two rodas side by side for an uninterrupted span of games between practitioners from academies across the globe. 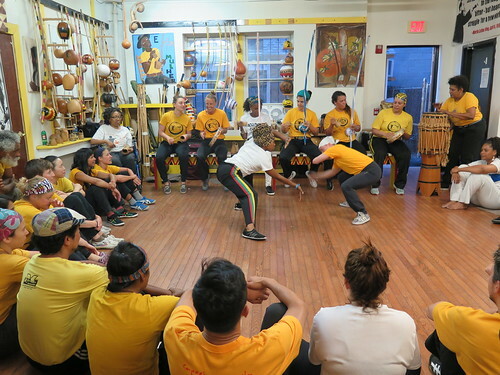 For what felt more like a Capoeira family reunion than a public demonstration, the opportunity to diffuse knowledge of Capoeira to a diverse and interested audience was not lost.